I grew up in a small town. At one time it was known as “Slab City”. Slabs being, in this case, granite not wood. Stone and wood. Two substances found in old barns living parallel lives one being a little more resilient than the other. 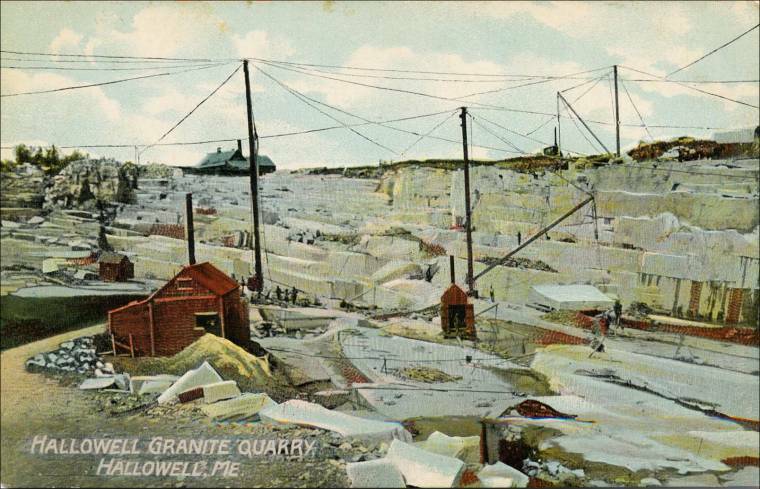 Granite is the principal rock, of which there is much of a fine quality quarried. The soil is sandy, or a sandy loam. Pine is the most numerious wood, but alternating with hemlock, maple, birch and poplar. Chesterville, or Keith’s Mills, on Wilson’s Stream, is the centre of the wholesale manufacture of wagons and sleighs, which have a reputation throughout the State. The machine work is done at the village, but the larger part of the labor is performed on the neighboring farms; thus mingling the labors of the farm and the shop. Have you ever driven by an old barn in a field with a sagging roof, off-kilter sliding doors, weathered clapboards or shingles and pane-less windows? If so, do you wonder like I do? I wonder about many things. Who worked there? What was it used for? How was it built and where did the material come from? Each one of these glorious structures holds its own story and the stories of those who crossed its path. The stories of hard-working men and women. Of sweat, hay chaff, and all manner of implements and, of course, the quadrupeds that took up shelter in them and provided meat and milk and bloody shins. 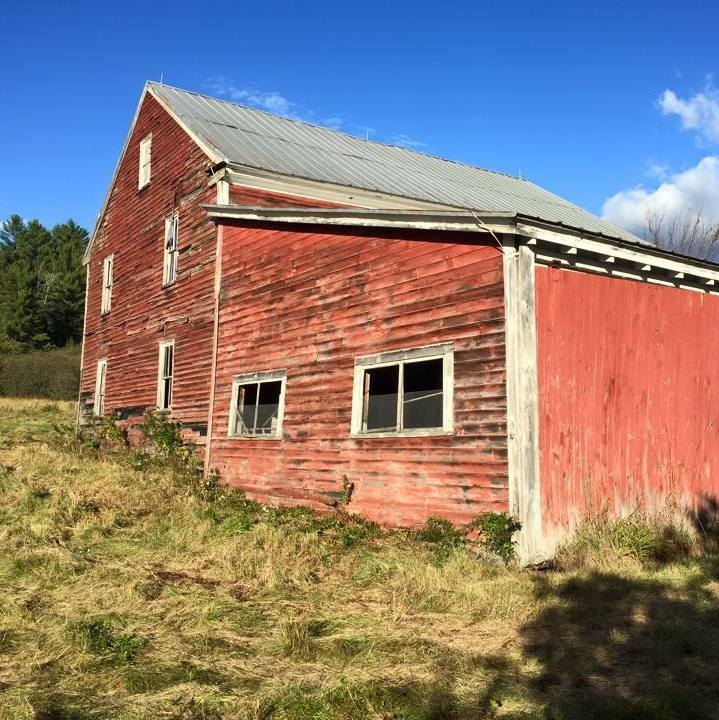 Barns, like some other types of architecture, can give the appearance of being simply built. Their transparency lends to their likability in both an aesthetic sense and in form and function. Sturdy, airy, purposeful things with lines and angles and substance. And of course, boards. Lots to be certain, made from pine, hemlock, fir, cedar and sometimes hardwood varieties, and… nails–the rusty, gnarly, make sure your tetanus is up to date sort. This story (as most stories do) has a beginning, a middle and an end. 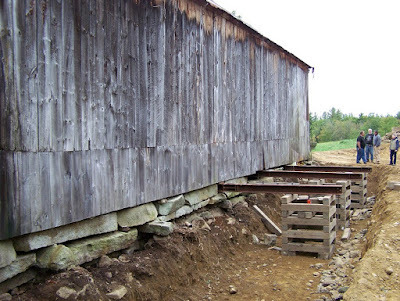 Curiously and appropriately the story of a barn board is not easily told. Do we start with the tree, the sawyer or the builder? Do we really know what happens in the middle? Sometimes we can only ascertain facts from available clues–photos, accounts, or what is, in fact, written on the walls. However, the ultimate question is: Where will it end? Unlike mortals barn boards have been known to have many lives so the more apt question should be whether it will rot or be buried in the ground, go up in flames or…. be reborn to serve another purpose? In a coffee table where it will be covered with generations of books, magazines and coffee stains. Possibly in a picture frame wrapped around an image of itself. Our latest project in Vienna, Maine is this great structure that was at one time the Mineral Spring Hotel. Opened in 1879 it has some fantastic features and great old wood.